Creating Abundance & Harvesting Energy! What you save is what you earn! It’s not a coincidence to be at a right place at right time taking a right decision! That’s exactly right about you! You are just a click away from earning a lot of money from unused space of your terrace/roof and any shadow free area in your premises. Where there is a roof there is a way! Be it your own residence, residential society, commercial building, industrial building, a warehouse, hotel, hospital, educational institution or any building which has a shadow free area. Leave it to us. Choose to invest your own money, we ensure a good return on investment. Choose a financing option, we ensure you the net savings. LET YOUR ROOF EARN, CREATING ABUNDANCE AND HARVESTING ENERGY! YOU CAN MAKE IT HAPPEN IN JUST 4 WEEKS! A suitably doped P-N junction semiconductor will generate electricity when light falls on it. This is called the ‘Photovoltaic Effect’. This electricity is in the form of a DC current which may be used as it is by a DC device or may be converted by an Inverter to AC current and then used by an AC device. Will I be able to use solar power during a power outage? A stand-alone solar PV system which has no connection with the discom (electricity distribution company, e.g., MSEDC) grid will generate electricity as long as the sun is shining and will power DC appliances or, through an inverter, AC appliances. During the night, the system will not generate electricity, but the solar power generated during the daytime, and stored in batteries, can be used. Such stand-alone systems are called off-line or off-grid systems. A lot of solar electricity is generated by on-grid systems which do not have batteries. In such a system, the solar electricity generated is first used by the connected appliances and excess electricity is fed to the discom grid through a net meter. This excess electricity is available free of charge when not sufficient power is being generated by the solar system, for example, at night. An on-grid solar system will not work during power outages. Hybrid systems are available which work like a combination of an off-grid and an on-grid system. Such a system requires batteries. Why are you not proposing a stand-alone or hybrid system? The net meter records the amount of power consumed from the grid and the power supplied by the solar system to the grid. The discom bills the customer on the net power consumed i.e., the power consumed from the grid less the power supplied to the grid. When you get an electric connection from a discom, there is a certain minimum amount you have to pay whether you consume any electricity or not. This is called a fixed charge. What are variable charges? How are they calculated? Variable charges are those which are levied over and above the fixed charges. These include electricity consumption charges, transmission charges, various surcharges and taxes. For our purpose it is sufficient to know the bill amount and to subtract the fixed charges from that amount. How have you calculated the variable rate per electrical unit? Divide the variable charge amount by the electrical units consumed to obtain the variable rate per electrical unit. How have you calculated the annual consumption? Annual consumption is the total of the number of electrical units consumed over the last twelve months. What is the basis for the proposed %age solar power? The proposal offered by Koku Solar is for an on-grid system. The solar power percentage proposed is a calculated compromise between maximizing solar power production so as to save on electricity charges and avoiding over-generation which will be a loss for our customer. In an on-grid system, excess power generated by the customer’s solar system is supplied to the grid and this excess power is available to the customer for use during the time when solar power is not being generated, say, at night. If this excess power supplied to the grid is not fully consumed by the customer, it will be loss to the consumer. Thus any excess power supplied to the grid is a loss. Koku Solar ensures that the customer does not lose any power to the grid by proposing to generate 75 to 85 percent of the customer’s annual power consumption. Isn’t there a daily and seasonal variation in power generation? Yes, there is a variation from sunrise to midday to sunset and a seasonal variation. The annual power generation capacity of a PV solar power system is calculated taking into account all these variations. How have you calculated installed capacity? In a place like Mumbai, each KW of installed power can provide approximately 1400 electrical units per annum. Koku Solar have proposed annual power generation in terms of electrical units in their offer. This is divided by 1400 to obtain installed KW capacity. In other places, say, Nagpur, the power generated per KW per annum can be more than 1400 electrical units. How have you calculated total investment? The cost of installing the offered KWs, commissioning the system and two years maintenance is the total investment. The cost of installing depends on various factors like the exact design of the structure for your terrace, the distance between the solar installation and the room containing the inverter and other electricals, the distance between the inverter room and the meter room, etc. The quality of the components remaining the same, the cost can vary from Rs 60,000 to Rs 90,000 per KW installed. In our initial offer, we give a rough estimate of the cost. This is calculated more exactly after carrying out the site survey. The site survey gives us a more exact idea of the variables mentioned above. How have you calculated the annual savings? We have proposed the annual power generation in terms of electrical units. If you had used the discom grid power for this much consumption, you would have paid at the rate charged by the discom, which is likely to be more than Rs 10 per electrical unit. It costs you much less to generate solar power, of the order of Rs 3 to Rs 4 per unit. The difference is the annual saving. How have you calculated the recovery of investment? The total investment divided by the annual savings gives the number of years it will take you to recover your investment. If you are able to avail of subsidy or any tax benefits, e.g., accelerated depreciation, the period of recovery is that much shorter. Why have you not taken subsidy into account? Some State Governments, like Maharashtra, do not provide subsidy. Even if subsidy is provided, there is no guarantee when it will reach you. The reason is that subsidy is provided first to certain specified consumers such as hospitals, education institutes, government offices, NGOs, etc. The priority for urban residential housing societies is the lowest. Hence, it may take years for you to actually get the subsidy, if you get it at all. In any case, Koku Solar believes in making you an offer where you can recover your investment within 3.5 to 5 years without subsidy. 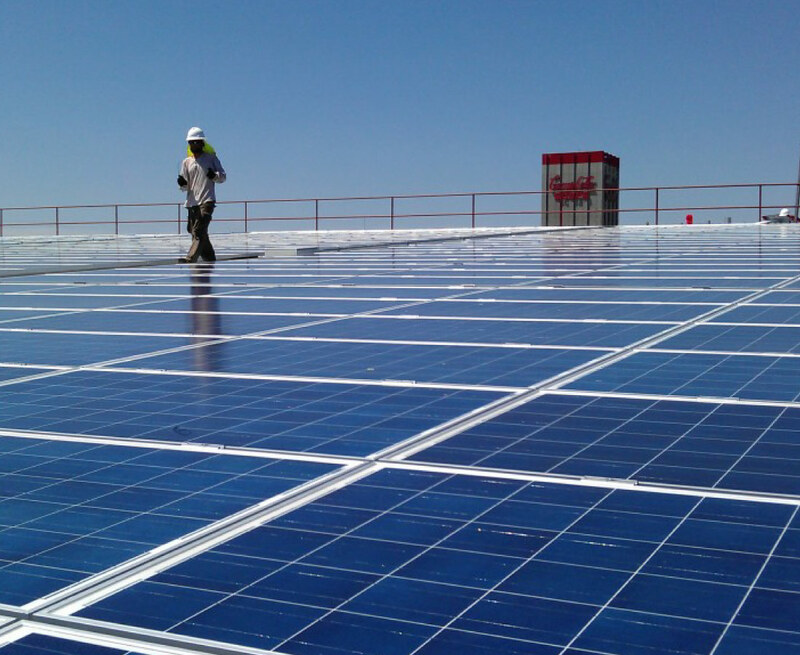 What tax benefits are available for solar power installation? 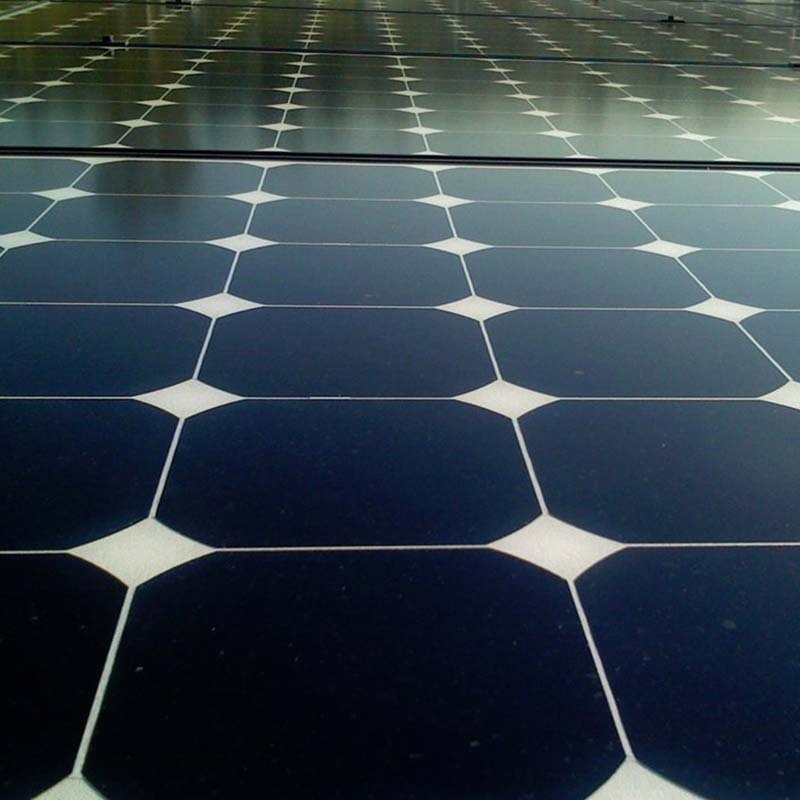 Accelerated depreciation and additional depreciation are available against investment in Solar Power Plant. It may take around 3 years to claim almost 100% depreciation. This results in saving of taxes to the consumer. When will you make the final offer? The final offer can be made after carrying out the site survey. We charge a nominal Rs 1,000 to Rs 2,000 for the site survey, depending on your location. Does the power generation decrease with time? Yes, the power generation decreases with time. The generation may decrease from about 97.5 % in the first year to 80% in the 25th year. In spite of the decrease, your recovery of investment will still be within 3.5 to 5 years. The effect on your savings after the recovery of your investment will be explained to you at the time of making the final offer and during negotiations. What happens if less power is generated annually than what is stated in your final offer? If the generation shortfall is due to our faulty design, additional panels will be installed without any additional cost to you. However, it should be understood that there can be many causes other than a design fault for the shortfall. As an example, if, after the installation and commissioning, a high rise comes up next to your terrace which casts a shadow on the solar panels, there will be shortfall in the power generation which will not be due to any design fault. The company ensures the power generation committed in the purchase order. How does your price compare with others? At Koku Solar we believe in offering the best to our customers. Thus, all the components used, including the solar panels, inverter, the support structure, other electrical, cables, etc., are the best amongst those available in the market. Some of the components may be imported if Indian ones do not meet our stringent specifications. So, if you compare our offer with others providing the same quality of material and services, and the same guarantees, i.e., if you compare apples to apples, you will find that the Koku Solar offer is most reasonable. Roof top solar power PV plants are the most popular form of solar installations. The main reason for its popularity is that it is not a specific application like street light, water heater or a solar lamp but it provides power to all the devices and appliances in a particular building and is a useful source of electricity for captive consumption. Installing a solar power PV plant is very easy. The solar panels are installed on terrace, open ground or any shadow free area available. The power generated is connected by cable to the main meter which is receiving power from the grid. There is a controller which gives priority to solar power for consumption and the rest of power is supplied from the grid. A typical solar roof top PV Plant can provide up to 70% of solar power cutting power cost by 70%. Solar power plant installation is suitable for independent houses, residential societies, office buildings, factories, warehouses, hotels, hospitals, malls, multiplexes, schools and colleges, government buildings, etc. One of the myths about solar power is that the initial investment is very high. The reality is that with this high investment a true industrialist or a consumer can actually reduce the cost per unit of power to as low as Rs.2/- as compared to Rs.12/- in Maharashtra. There will be a windfall for commercial consumers who pay electricity charges as high as Rs.15/- per unit! While the power rate that is Rs.12/- today will go as high as Rs.18/- by the 10th year, the cost per unit of solar power will remain constant at Rs.2/- Hence, the solar power plant installation cost has to be seen from a different angle. Smart business people have already done that! One lac rupees invested in solar power will be recovered in three year where the rate per unit is more than Rs.12/- ! For the rest of 22 years, the cost per unit will be less than Re. 1/- being the maintenance cost per unit. The life of a solar power plant projected as 25 years for the financial working. However it will continue generating electricity even after 25 years. The generation is worked out as 90% after 10 years and 80% after 25 years. This means that if 100 units are generated in 1st year, 90 units wlll be generated after 10 years and 80 units will be generated after 25 years! Solar energy being a sunrise industry literally, many Solar power plant suppliers and vendors have entered the field! Solar energy companies in Maharashtra are creating awareness and promoting solar power to high consumption customers. Many of them also work to take advantage of the solar power policies in Maharashtra. The only factor a customer has to ensure from a vendor is that whether the generation of solar power is guaranteed for 25 years! As solar power generation is the only way to recover the investment and later on projected savings. Commercial customers have an added advantage. The profit making customers can actually, save on income tax by claiming accelerated and additional depreciation. This means that if a customer invests Rs.1 lac in a solar power plant, he will save tax of Rs,30,000/-. Which means, instead of paying Rs.30,000/- to tax collectors, the same is invested in solar power plant installation and net investment is just Rs.70,000/-! That the solar power plant installation has now become commercially viable as cost of installation is going down and electricity tariff rates are going up. The solar power installation will is now no more dependent on government subsidies and incentives. The major impetus still awaits as the Indian government targets 40 GW of roof top solar power plant installations by 2022!